Disney is trying to put a happy ending on a grim story. 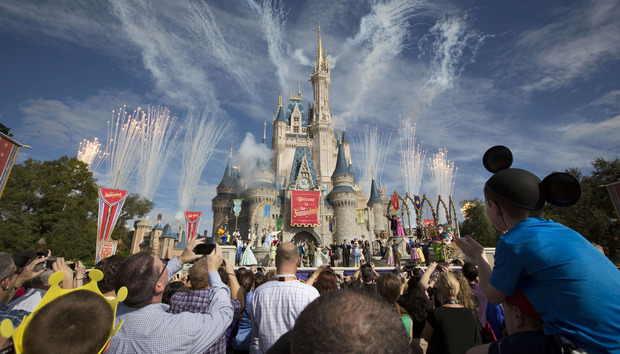 Last year, Disney laid off about 250 IT workers after bringing in H-1B using contractors. Some of the employees trained their visa-holding replacements. The news struck a nerve nationally. At Thursday's Republican debate in Miami, IT outsourcing at Disney was raised in a question. Some of the presidential candidates were critical of H-1B use at Disney and said the visa program was being abused and needed reform. In response to the debate, a Disney spokeswoman issued a statement, saying in part: "Approximately 250 people were affected by the reorganization, and we were able to hire back more than 100 of them in other positions with Disney. In addition, since the reorganization, we have hired more than 140 other U.S. IT workers into technical roles within the park's technology team, and we are currently recruiting candidates to fill more than 100 IT positions. The park's U.S. IT team will ultimately be larger than it was prior to the reorganization." Disney also reiterated that it is now focused on developing new capabilities instead of maintaining existing systems. The claim that Disney hired back more than 100 of the laid-off workers is disputed by Sara Blackwell, a Florida attorney who is representing some of the former Disney IT workers in litigation and discrimination complaints. "I am in contact with a multitude of the displaced Disney workers and none of them were hired back despite their many attempts to be rehired," Blackwell said. Leo Perrero, a former Disney worker who trained his replacement, said Disney's latest claim is one the company has been making all along. "This is nothing more than corporate speak intended to muddy the waters," Perrero said. "New more exciting jobs were promised by Disney that acted as a carrot to keep us around just long enough to have us Americans be the trainers and the foreign workers as the trainees." Perrero said former and current Disney employees are aware of only two people getting comparable Disney IT jobs in the U.S. since the mass displacement by foreign workers. "Perhaps the remaining 98 that Disney claims were hired back are now selling popcorn and balloons on Main Street at the Magic Kingdom or elsewhere in the world," he said. The programming application Perrero supported was tier 1, or among the most important, and is "one of the most customer-facing applications which is still in use and developed," he said. "Why not outsource to an American company with American workers?" The hiring claims aside, there are many lawmakers who say the program is being used in ways that were never intended. Visa workers, who are often younger and lower paid, are routinely used to displace workers. The laid-off workers, who must sometimes train foreign replacements, are often older and have many years of experience with the company. This has helped to give the issue more visibility in the election campaign. Donald Trump, the billionaire businessman who is seeking the nomination, has promised to restrain, or even end, the H-1B program. Trump has been supported by some former Disney IT workers, and they have spoken at his campaign rallies. Other Republican presidential candidates have also criticized the program. Sen. Ted Cruz (R-Texas) has proposed legislation that would bring major reforms to the visa, and Sen. Marco Rubio (R-Fla.), who has been criticized by former Disney IT employees for not helping them, said last week that the use of the visa at Disney is an abuse of the program. Efforts to get Disney to clarify, by deadline, the number of former IT employees rehired into IT jobs were unsuccessful.